Yeah, Man! Or Yes, Ma'am! Oh, what did you give her? Did you milk her good? Did you do like you should? Oh, how did you milk her? How did you milk her? Did my cow have a calf? Did you cheer and laugh? Oh, what does the calf say? What does the calf say say? Does she run and play? Did she play all day? Well run on home now. Adapted from Did you Feed My Cow? by Margaret Taylor (Thomas Y Crowell, New York) published in A Second Storyteller's Choice by Eileen Colwell, 1967. Dr. Mike Lockett (2005) altered the entire second half of the poem. 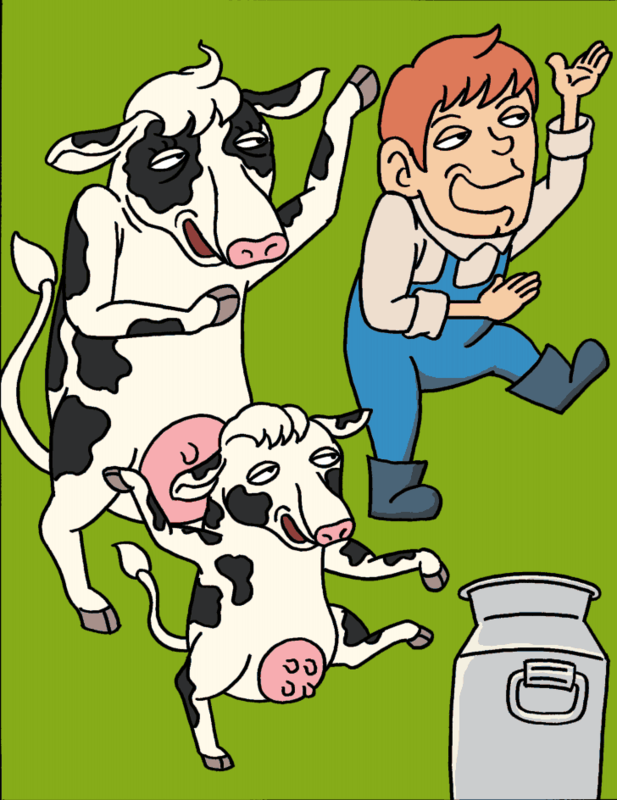 In the original version, the cow dies and buzzards pick at the bones. Lockett prefers a less violent version with today's children. The illustration at the top of this story is by Chung Yi-Ru. The copyright, 2014, is owned by Mike Lockett.